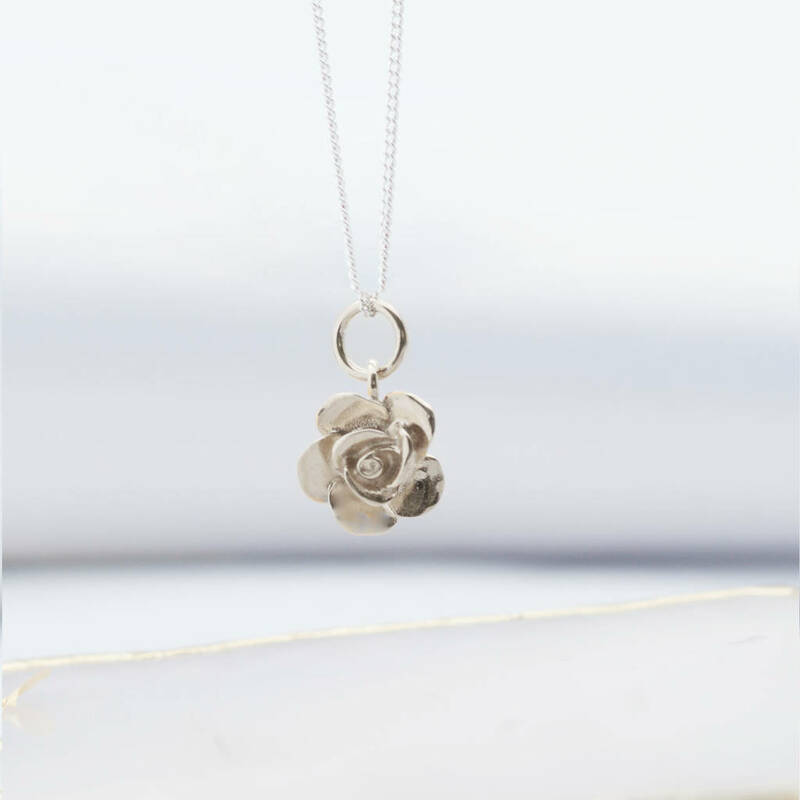 Sterling silver rose necklace enspired by the English garden. 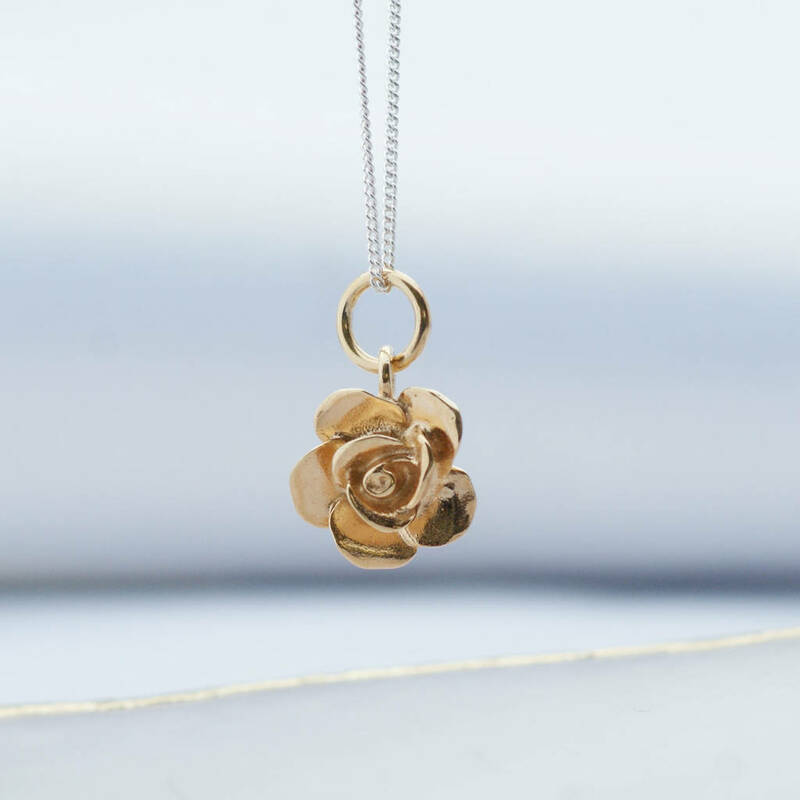 This necklace makes an ideal gift for Mothers days, birthdays and flower lovers. 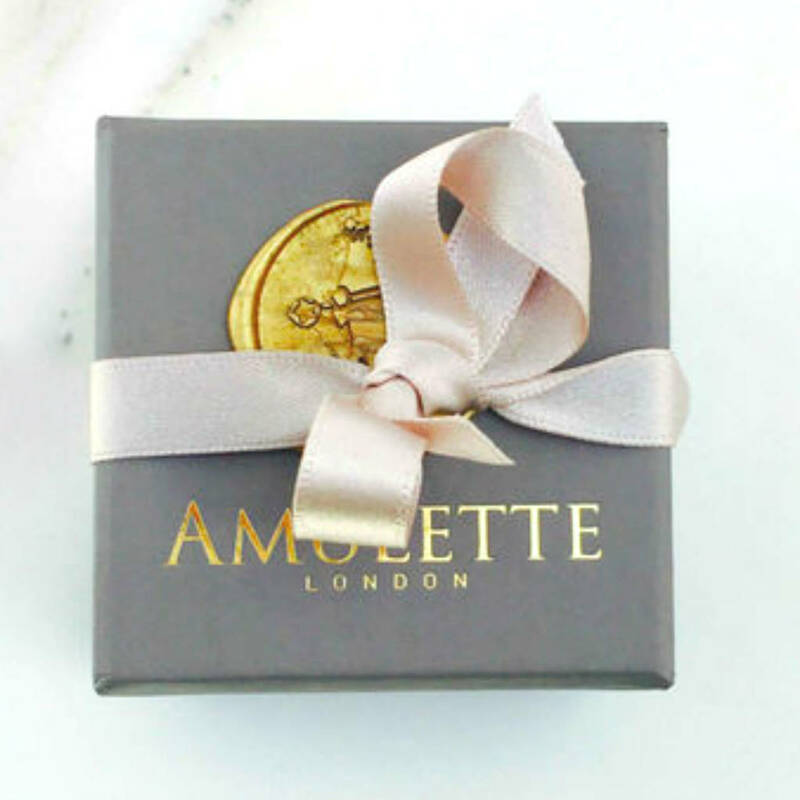 This pretty sterling silver necklace features a traditonal rose, with petal detail and finished on a sterlings silver curb chain with Amulette logo tag. 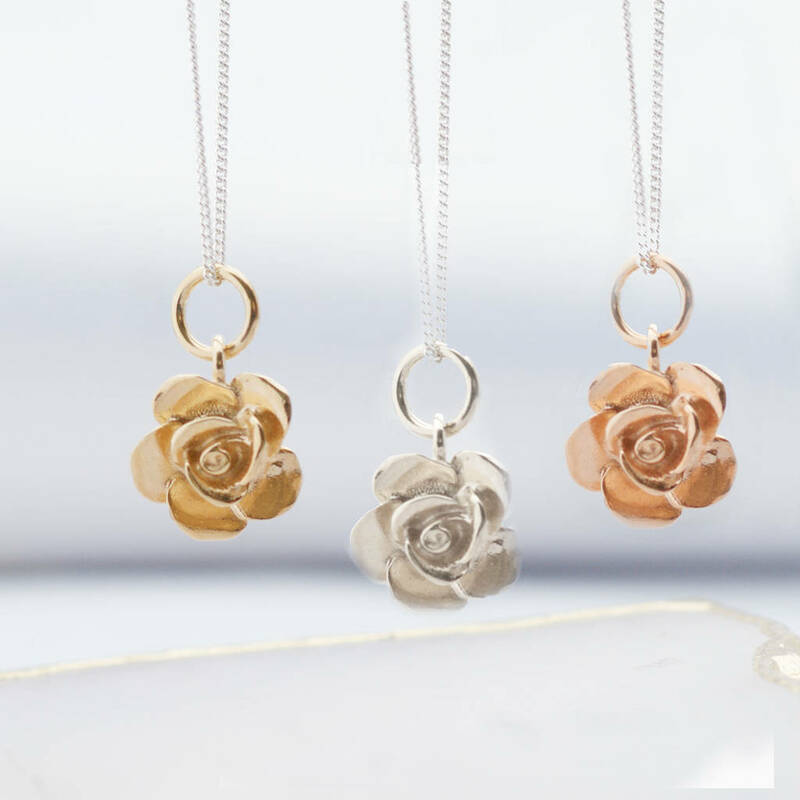 The Flower necklace makes the perfect gift for someone or styling your special wedding day. 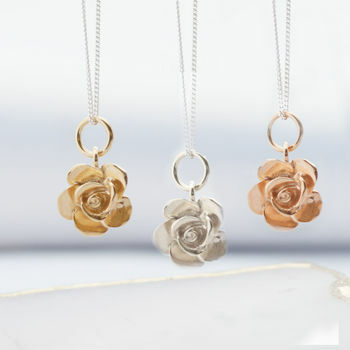 This rose necklace is avaialble in silver gold and rose gold finishes. please select from the drop down menu.